The Island state of Tasmania is an unspoilt destination and well worth a visit for its world renowned beautiful scenery and cuisine. 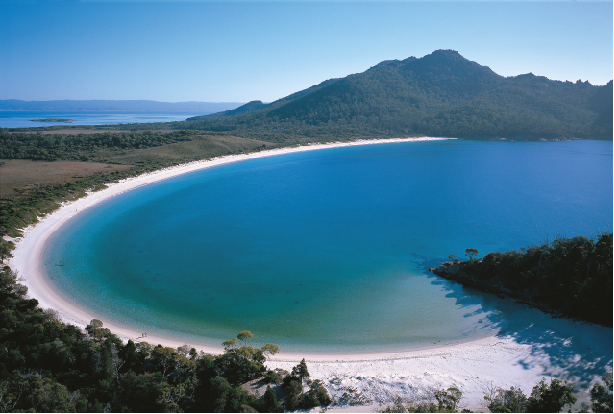 TASMANIA is a pristine island which lies 200 NM south of Melbourne and occupies the south-eastern corner of Australia. Seafood, Wine and Cheese has helped develop Tasmania’s reputation throughout the world as a food lovers delight. No matter where you travel, someone would mention the delights of Tasmania. A visit to Tassie (as it is known in Australia) will have you spellbound and wanting to stay longer. 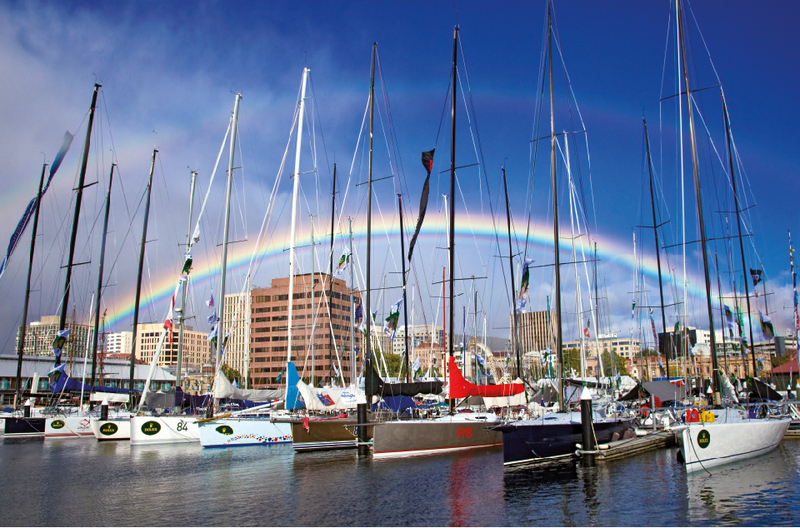 If you are a true yachtsman, Hobart is where the world’s best yachtsmen converge once a year at the completion of the Sydney to Hobart Yacht Race. The first race started back in 1945 and has grown in reputation as one of the toughest and most demanding ocean races in the world. With a population of around 500,000, Tassie is able to offer good facilities in all of its major ports, of which there are several. Launceston in the north, accessed via a gentle cruise down the tranquil Tamar River, and the Port of Hobart in the southeastern corner of Tasmania, a short run of 11 NM up the fabulous Derwent River. Hobart and Launceston are well equipped to cater for superyachts. Tasports, the Tasmanian Port Authority, can organise all berthing, fueling and sullage removal. Most likely superyachts would choose to cruise from Melbourne or Sydney across Bass Strait and stopping over in the Furneaux Group of Islands which include Flinders, Lady Barron and Clarke Islands. 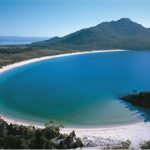 From there they can day cruise further down south visiting the world famous Wineglass Bay and the Freycinet National Park, Maria Island and Port Arthur, all of which are steeped in Australia’s colourful convict history. They are excellent stops enroute to Hobart and offer protection in all weather. Hobart, the capital of Tasmania, is well known for its beautiful scenery and old world charm. Berthing for superyachts is available at Elizabeth Street Pier right in the centre of Hobart. 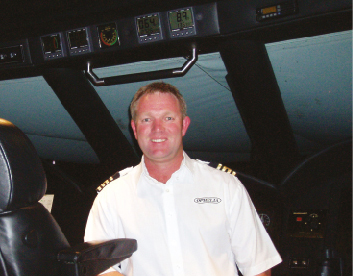 Maintenance facilities are excellent with the boatbuilding industry going from strength to strength. Incat is a world player in the fast ferry market supplying the world with its wave piercing 120 metre high speed ferries and the 61-metre trimaran superyacht White Rabbit built in Tasmania by North West Bay Ships in 2005 helped put Hobart on the superyacht map. North West Bay Ships was purchased by Austal Ships and they are now producing a variety of vessels from this facility some 25 kilometres south of Hobart. Muir winches, which supply the world with anchoring systems also call Tasmania home. Facilities for haul out include the Domain slipway in Hobart with a 1200-tonne slipway operated by Tasports and various other smaller refit facilities, marine engineers, painters and fine interior finishers are all within easy access. Hobart is the perfect sized town to spend time exploring the history and scenery. From Hobart there are the regions further south and to the west which are worth exploring. A short drive or helicopter flight would find you in the middle of Tasmania enjoying the pristine Cradle Mountain or some trout fishing for which Tasmania is famous. A day’s sailing from Hobart will see you exploring the inside sheltered waterways of the D’Entrecasteaux Channel and the Huon River. 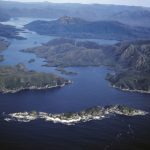 A further day’s cruising would find you on the West Coast at Port Davey. 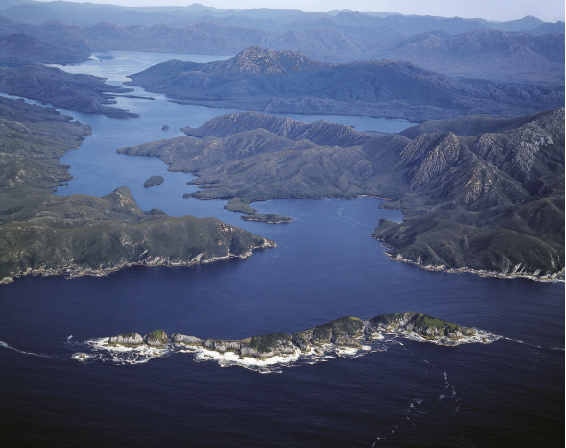 Port Davey is a UNESCO World Heritage-listed area and is totally pristine and untouched by humans. Beautifully calm waters and towering mountains will greet you, or even a little further north on the west coast would have you visiting the picturesque township of Strahan and the world famous reflections of the Gordon River. Diving for crayfish, abalone or scallops are all big attractions when in Tasmania, but 7mm wetsuits or dry suits are recommended in the winter months. From the giant kelp forests which range along its rugged coastlines, to the deep sponge gardens and a ship’s graveyard, Tasmania offers a wide variety of scuba diving, where frequently crayfish and abalone are found in abundance between the rocky boulders of a reef. Many species are endemic and unique to Tasmania, such as the handfish. Weedy seadragons and seahorses are also common in the temperate Tasmanian waters. 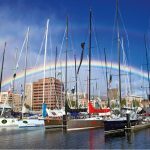 For those superyachts looking to be a little more adventurous, Hobart is recognised globally as the world’s pre-eminent international gateway to the Antarctic, sub-Antarctic and Southern Ocean. Tasmania offers the services of a hardy community who thrive on the region beyond 40 degrees south!